Sign up today for either our 6 Step Organic Hybrid program or our traditional program & receive your first step for $29.95 (*based on 5,000 square foot yard). Imagine a carefree lawn your neighbors will envy! Let the outdoor specialists at SunCo maintain your great outdoors. It’s the easiest way to enjoy a green, lush and weed free lawn – and your free time! Call SunCo to inspire a little outdoor envy in your neighborhood. Good for the environment, Good for those you love. Less chemicals, green grass and no weeds. Guaranteed. 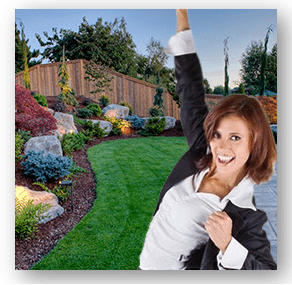 We understand the wants of having a great looking lawn. But we have also heard from our customer base about how they’d like a more earth-friendly solution for treating their lawn. The full 100% organic solutions leave the lawn lacking color. Isn’t there a way to get the best of both worlds? YES. Welcome to SunCo’s Organic-Hybrid program. This first visit will help wake up your lawn from the long winter. A careful evaluation of your lawn will reveal any prior season problems that may need to be addressed. We’ll also apply bio-nutrient products to promote early spring green-up, target weeds, and prevent crabgrass. This application will continue to target weeds and also promote a greener color and robust root system. Our Organic-Hybrid lawn care program provide beautiful results with fewer nitrates and pesticides than traditional programs. During this mid-year visit, we will evaluate your lawn’s health and address any needs it might have. Whether your lawn could use more fertilizer, targeted weed treatment, or additional post-emergent control to manage problem grasses, we have it covered. During this final visit and before your lawn goes into winter dormancy, we’ll apply a final fertilizer to feed the root system and help your lawn adequately withstand the long and potentially harsh winter. This application also promotes earlier green-up next spring. A healthy lawn needs adequate nutrients for growth and color. SunCo uses the finest controlled release products to help you maintain a beautiful yard. SunCo’s applicators are all trained and certified by the EPA. The first of two pre-emergent/fertilizer combinations are applied to enhance color and for season-long control of grassy weeds such as crabgrass, foxtail, and spurge. In addition, broadleaf weeds are spot treated, if present. Watering: For optimal results, treatment should be watered in within 7 days after application. A slow-release fertilizer is applied that will encourage good, consistent color of the turf. This application also contains a second dose of pre-emergent to provide season-long control of crabgrass and other grassy weeds. Lawn will be spot sprayed or blanket sprayed, if needed, for broadleaf weeds. Watering: For optimal results, this application should be watered within 48 hours. As temperatures get warmer, lawn should be watered at least one to two inches per week, depending on weather conditions, to maintain good health and color. We apply a balanced, slow-release fertilizer for early summer to maintain good color and health. A preventative grub control is also applied (if you have purchased this option with your program). Weeds will be spot treated if present. Watering: For best results, this application should be watered in within 24 hours. You should maintain a good watering schedule of 4-5 times per week. Consistent watering is a must to keep grub control active. *Note – try to limit pet activity on lawn until grub control is watered in. We apply a slow-release fertilizer plus iron to maintain good health and boost color. All weeds will be spot treated at this time, including a post-emergent for any crabgrass that is present. Watering: This application should be watered in within 24 hours. To maintain a lush, green turf, watering should be done at least 4-5 times per week. 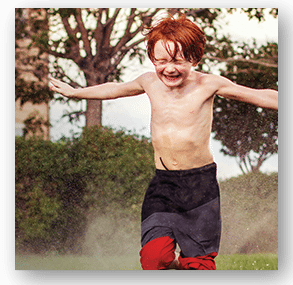 If lawn is prone to disease problems, consider doing afternoon cool-downs with sprinklers between 2-4 p.m. when temps are above 85 degrees. This will help to prevent diseases from spreading. We apply a slow-release fertilizer to get your yard ready for fall and to help it bounce back from summer. Your lawn is also checked for grub activity and treated if needed. All weeds are spot treated at this time. Watering: This application should be watered in within 24 hours. As temperatures cool, watering can be backed off to 3 times per week. If weather conditions are hot and dry maintain the 4-5 times per week. We apply a winterizing application. The turf will store the nutrients over the winter keeping the roots healthy. This will also help to give your lawn a quick green-up next spring. Watering can be backed off to 2 times per week; unless you are trying to germinate seed, then you need to keep moist until germination. We generally start shutting down sprinkler systems in mid-October, which is a good time to let mother nature handle the moisture from there on out. The Japanese Beetle is mainly active for 2 months during the summer. Most of the time these bugs are in the grub stage and only adults for a short period of time (Late-June to Mid-August). From June to August we have to worry about adult beetles in our trees as they do major damage. The females attract other males to mate and often they come in swarms. After they devour your trees and plants, they lay their eggs in the soil for the process to start all over again. The best time to have SunCo spray your trees and shrubs is during their feeding and mating stage from June-August. Also a good preventative is to add grub control to your lawn care program. However, since they are prolific, it is hard to control with this method unless everyone around you is doing the same. At SunCo, we have trained inspectors that can identify the beetle and treat your infested trees and shrubs. Lawn diseases in eastern Nebraska usually show up as fungus. Improper mowing and watering practices can contribute to the problem. Let SunCo apply a fungicide to help keep your lawn healthy and looking beautiful. SunCo recommends aeration service in both the spring and fall. During either season, the SunCo outdoor specialists perform this service along with over-seeding. Overseeding is broadcasting seed over an already established lawn. This can help thicken turf reducing competition from weeds. An over-seeding service is best done in the fall and at the same time as your aeration. Contact SunCo to schedule your next complete aeration service. SunCo offers a broad spectrum insecticide, which is applied to the foundation of your home or business to prevent the invasion of insects. The residual of the product is 3-4 weeks, and will not wash off with rain or sprinkler use. Applications start at $40.00. Contact SunCo to start your 6-step program. SunCo’s lawn insect program is recommended once a month from April to September. This treatment targets insects that are already present in the lawn, such as fleas and ticks. Once the application is applied it is effective for thirty days. When it dries, it becomes rainfast, meaning it will not lose effectiveness with rain or the use of sprinklers. With winter on its way, it’s important to start thinking about your trees and shrubs. Evergreens and Conifers are especially at risk during the winter as water evaporates quickly from their foliage. These winter conditions remove water from the plants faster than the roots can absorb it. A great line of protection for your trees and shrubs is an anti-desiccant spray. Anti-desiccants create a film when applied to the trees and shrubs that help them retain their moisture for months. Anti-desiccants are also biodegradable so it’s safe for the environment too. Give those greens some love this winter. Let the outdoor specialists at SunCo inspire your great outdoors! Hauling hoses around is a drag. Let the outdoor specialists at SunCo install and maintain a sprinkler system that will give your lawn the water it needs without lifting a finger. Imagine a carefree lawn your neighbors will envy! 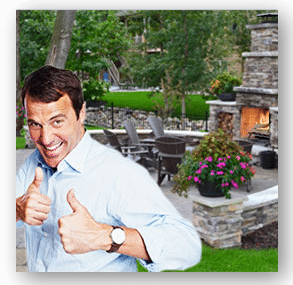 Let the outdoor specialists at SunCo maintain your great outdoors. 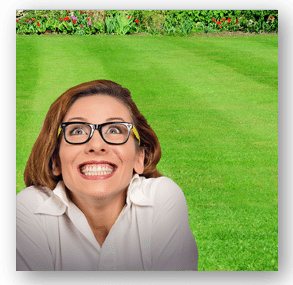 It’s the easiest way to enjoy a green, lush and weed free lawn! Imagine the possibilities: professionally hardscaped patios, fireplaces, water features and thriving plants. Let the outdoor specialists at SunCo customize your great outdoors. Let the outdoor specialists at SunCo handle all your outdoor maintenance. Adding mulch to edging, even containers. Week or month programs, we can handle it all.